Pit Stop USA is The Online Motorsports Superstore! We feature Crankshaft Tools at low everyday prices. Pit Stop USA is The Online Motorsports Superstore! We feature Crankshaft Pin Drill Fixtures at low everyday prices. Pit Stop USA is The Online Motorsports Superstore! We feature Main Cap Removal Tools at low everyday prices. Pit Stop USA is The Online Motorsports Superstore! 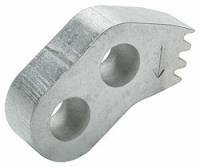 We feature Crankshaft Tools at low everyday prices.